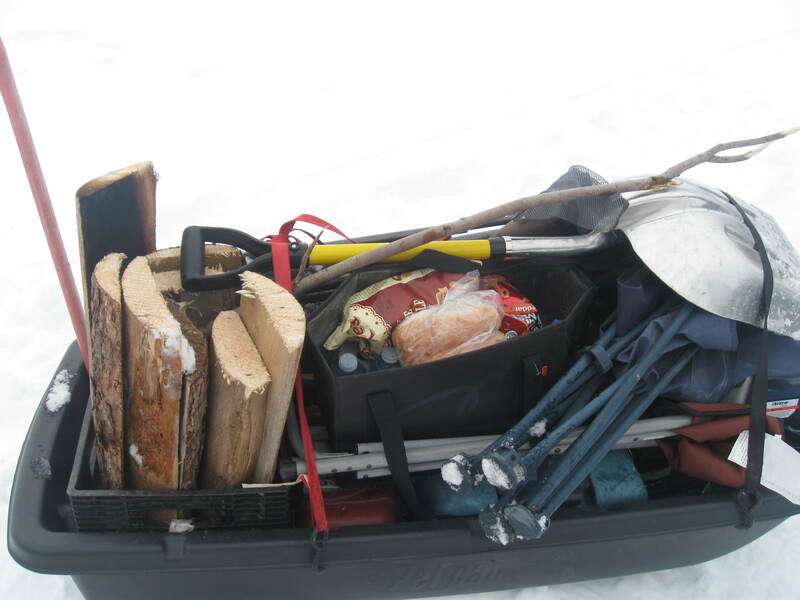 So last Sunday, we decided to go ice fishing again. We packed up all this stuff. Then we drove for an hour. It was so sunny and beautiful, but when we got there it started to cloud up. As soon as we stepped out on the lake, we realized that it was super windy. 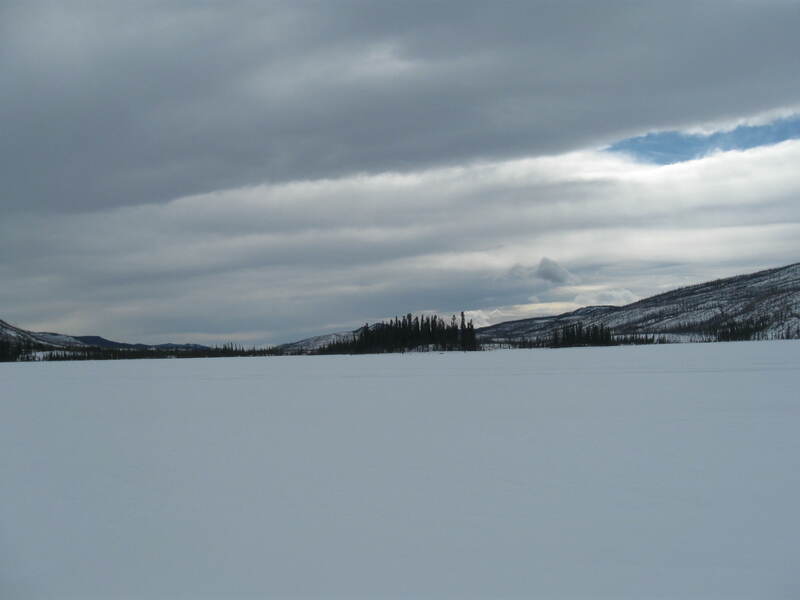 But we’re Yukoners and tougher than regular people, so we thought we’d go for it anyway. Unfortunately, the smallest of us tough guys is only five and doesn’t really handle the cold that well. 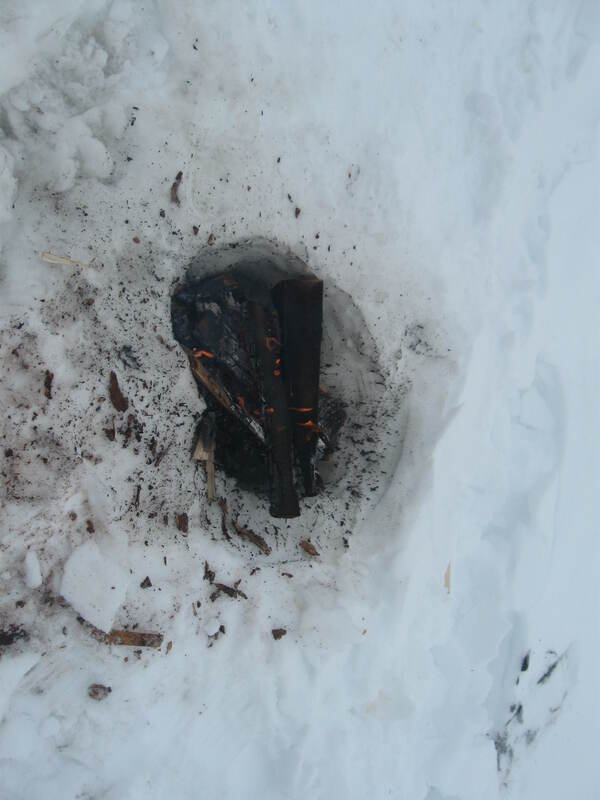 So we lit a fire to see if that would warm him up and maybe we could hang out long enough to catch a fish! Needless to say, we had to leave due to bad weather conditions, which in turn led to tears and pleas to leave. We didn`t get any fish. 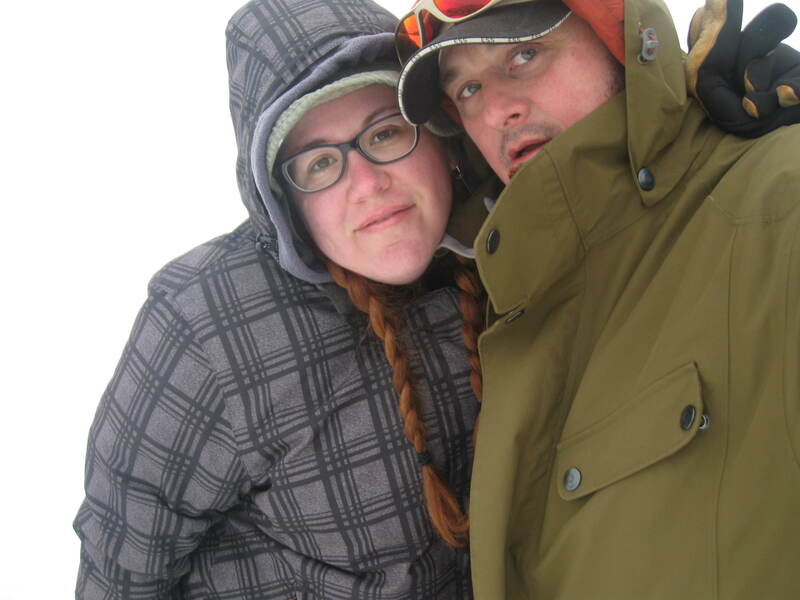 But here`s a nice frozen selfie of me and the hubby! Good luck to the other ice fishers out there! Hope it goes better for you!